Talk about empowerment, The Pretty Reckless is just the band anyone needs to get their full dose of originality and Rock-n-Roll. Bangin’, beautiful, and beyond brilliant, this group of New York City Rockers know exactly how to blow the roof off of any venue, kill a crowd of hundreds with one look, and stop time with a single chord. All that said, The Pretty Reckless is something else, always creating smashing music and performing like nothing else matters. Rock-n-Roll is a lifestyle, let’s be honest. With hearts of gold and minds of steel, The Pretty Reckless have been a formidable group right from the start. Always having music in mind, the band formed back in 2009 with the ultimate goal of creating their futures. With a sparkling leather studded debut, the band blew up with high hopes and a promising outlook on what would be the rest of their lives. Taking girl power to a whole never level, Vocalist Taylor Momsen has had music running through her blood since birth and was made to do the incredible; taking The Pretty Reckless to a whole new level in her career. While some may know her from beloved classics such as the 2000 live action version of How The Grinch Stole Christmas or the Gossip Girl series, nowadays, everyone recognizes her as a Rock star. Honing her craft along the way, Momsen knew exactly what she was doing creating the persona of The Pretty Reckless. Finding the right bunch of musicians to do the job and making the band whole, Jamie Perkins (drums), Ben Phillips (guitar), along with Mark Damon (bass) completed the mix, and in 2010, they dropped their debut album, Light Me Up. Touring early on with legends such as Marilyn Manson, getting on the stage at some of the hottest festivals, and even hosting their own headlining tours in 2010, 2012, as well as 2013, The Pretty Reckless are a force to be reckoned with. 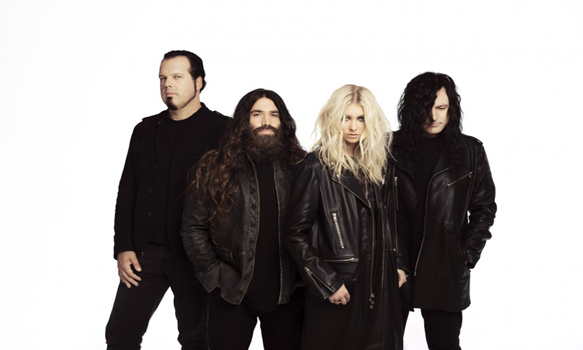 From everything to anything, The Pretty Reckless know just how to surprise fans and now follow-up their 2014 album, Going to Hell, with the highly anticipated Who You Selling For. Their third overall album, Who You Selling Forwas released to the public on October 21, 2016 via Razor & Tie and guaranteed to catch listeners off guard yet again. Kicking things up a notch, the album swings into effect with “The Walls Are Closing In/Hangman,” a slow and steady piece that is not so inviting, but can capture the attention of anyone. With the distinctive and raspy vocals of Momsen, an absolute wholly unique venture; adding a single into the mix, “Oh My God” is fast-paced, raging, and thrilling, giving listeners something new to engulf their world into. Carrying on with some classic style jams, “Take Me Down” ventures into catchy riffs, hooking quite literally everybody who gives it a listen. One of the first to be heard off of Who You Selling For, it is clear to see no disappointment in site. Followed up with “Prisoner,” they offer another striking piece that could challenge as a fan-favorite. Highlighting raw vocals and energy throughout, this album blows 2016 out of the water. Blending in some R&B to Classic Rock sounds, “Wild City” is introspective and downright groovy. Always refreshing to see a wide display of talents, The Pretty Reckless know just how to intrigue their following. Slower, and a bit more raw, “Back To The River” gives hints of Country Rock with a guest appearance from the legendary Warren Haynes. Picking up towards the end with a gnarly guitar solo, it is a welcomed original and dynamic song. Moving on with the title-track of the album, “Who You Selling For,” it is just breathtaking and heartbreakingly honest. Moving listeners of all kinds, those who were not a fan of The Pretty Reckless before, will be now. Sticking with the same vibe, “Bedroom Window” is just as beautiful as it mixes a perfect blend of instrumentation and vocals. A song sadly relatable to many, it shows the band’s growth as songwriters to connect with their audience. Picking up the tempo, “Living In The Storm” is fueled by range and past aggression. Housing anger within the music, this track is everything and not so enigmatic. Possessing immense talent as a band, it also takes a ton of passion, and “Already Dead” shows what really lies within Momsen and company. Furthermore, “The Devil’s Back” pushes mesmerization to a whole new level. Right when it seems the record is done, bonus track “Mad Love” kicks in, completely taking listeners by surprise while everything right about The Pretty Reckless shines through once again. 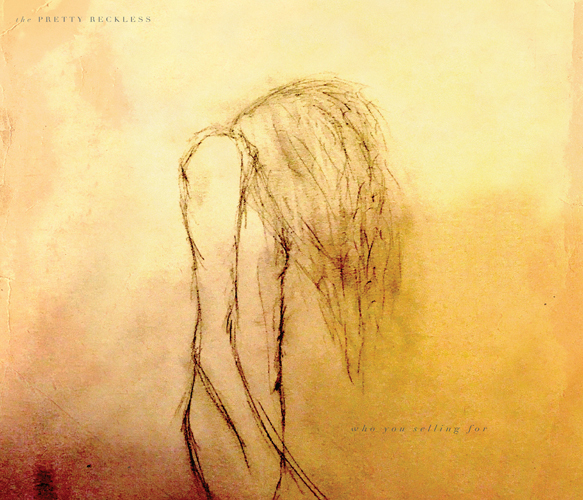 Proving Rock-n-Roll is far from dead, The Pretty Reckless have done it again. With their extreme musician mastery and insane skill to make anything sound phenomenal, this band is more impressive with each passing album. Yet another brilliant piece, prize their names, CrypticRock gives The Pretty Reckless’ Who You Selling For 4 out of 5 stars.